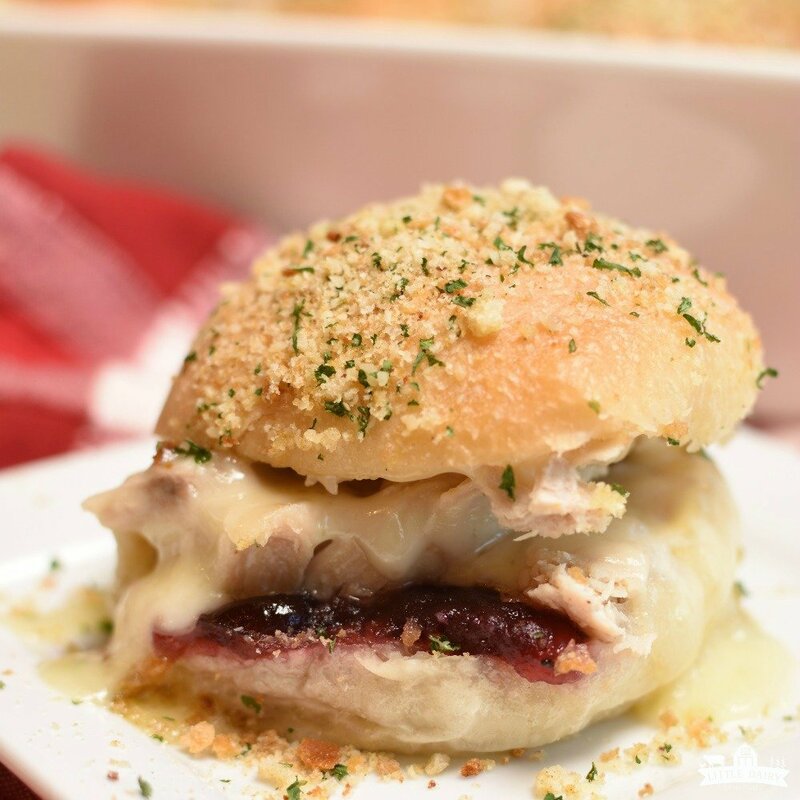 There is something magical about the way leftovers come together in these Turkey Cranberry Sliders! 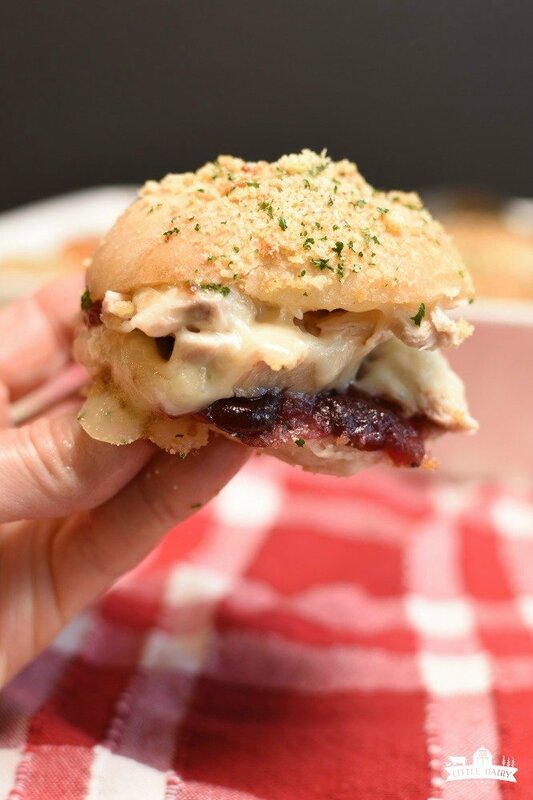 I think it has something to do with the sweet cranberry sauce with the savory cheese and turkey, and honestly I really can’t get enough of the crunchy parmesan dressing topping! Whatever it is these are a must make! This post is made in partnership with Rhodes Rolls! Going to the mountains to cut down Christmas trees the day after Thanksgiving is a tradition of ours. When we are in the mountains I always think we finally found the perfect tree. They never seem to have bare sides or holes when they are standing in all their glory on the mountain.It must have something to do with that fresh blanket of snow, the beaming sunshine, or the blue sky because when we get it home I always wonder where in the world we found that thing! A few years ago I tried to talk my boys into going to the mountains to cut down a tree for our basement and letting me buy a pretty, prelit, artificial tree for upstairs. From the sounds of the complaining I got you would have thought I suggested we forget about Christmas entirely! Needless to say I lost the fake tree battle and I’m still vacuuming up pine cones, scrubbing spilled water off my carpet, and stringing lights on the holey tree! Hopefully none of my boys read this post because I don’t want them to know that there is small part of me that agrees with going to the mountains and cutting down a tree. Even though they are Charlie Brown trees we always make memories and have the best of times in the process of cutting them down! Even though we completely gorge ourselves on Thanksgiving day somehow we manage to work up a massive appetite while we are climbing our heavy rearends up and down the mountains looking for that perfect tree! When we get home we are always ready to devour ALL the Thanksgiving leftovers! 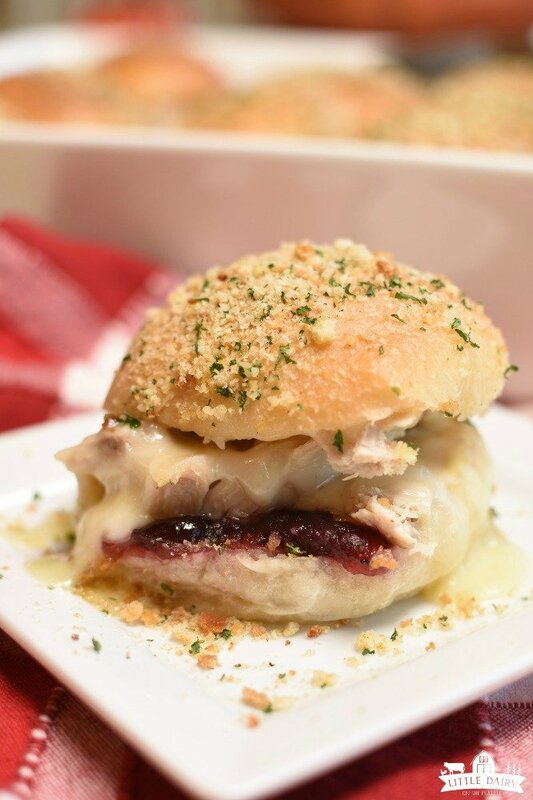 Turkey Cranberry Sliders quickly became one of our favorite ways Thanksgiving leftovers! All we have to do when barge through the door is throw the sliders in the oven and let them warm up while we gather everything else! It’s pretty much a full on feast! Making sliders out of Rhodes rolls is one of my favorite things to do! 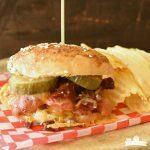 We love Pepperoni Pizza Sliders, Make Ahead Breakfast Sliders, Wrangler Roast Beef Sliders, Ham and Cheese Sliders, and Caramel Apple Sliders just as much as we love Turkey Cranberry Sliders! Let Rhodes rolls rise according to package directions. 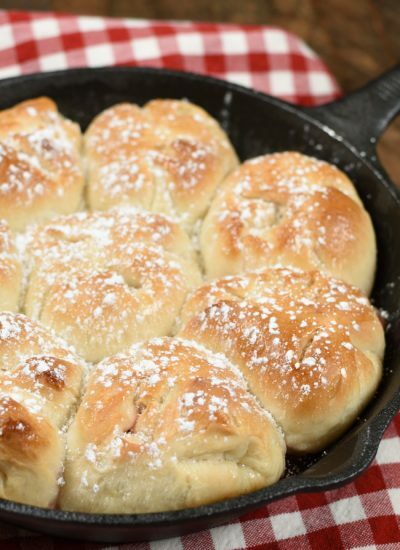 Using Rhodes rolls is a hundred times easier than making your own from scratch and just as tasty! 4. 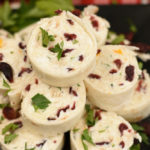 Spread cranberry sauce on bottom halves of rolls. 6. Sprinkle with plenty of cheese! Swiss is a great option! 7. Put the tops back on! 8. Melt butter. Add crushed dry stuffing mix and parmesan cheese to butter. Stir together. 9. 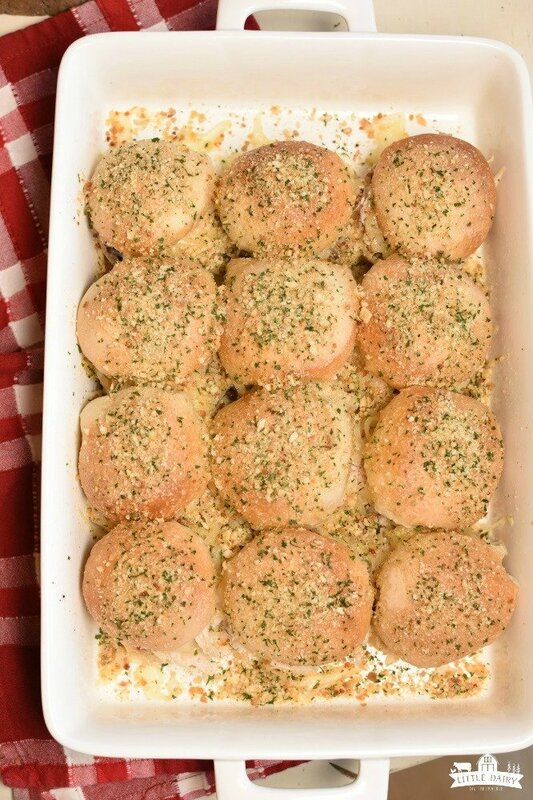 Sprinkle stuffing mixture over rolls. 10. 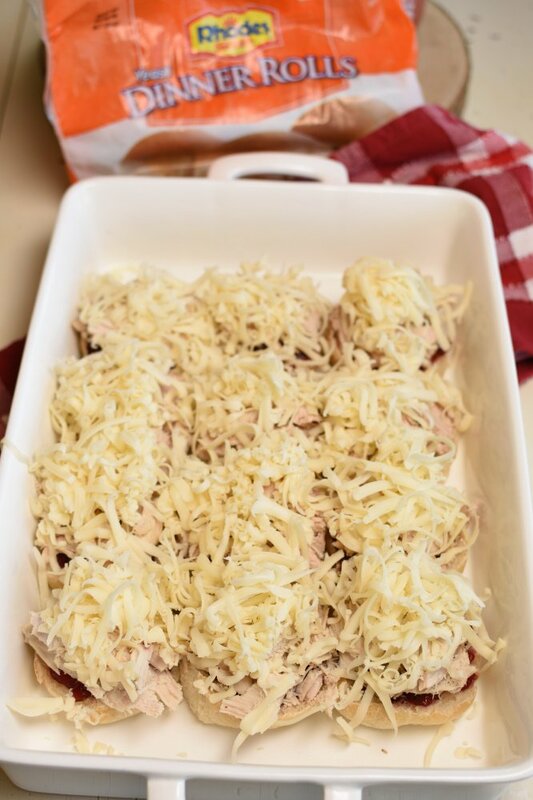 Bake for 10-15 minutes or until warmed through and cheese is melted. Watch the sliders and if they are getting overly brown on top and still not warmed through cover them with aluminum foil. 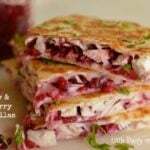 Serve hot with extra cranberry sauce! 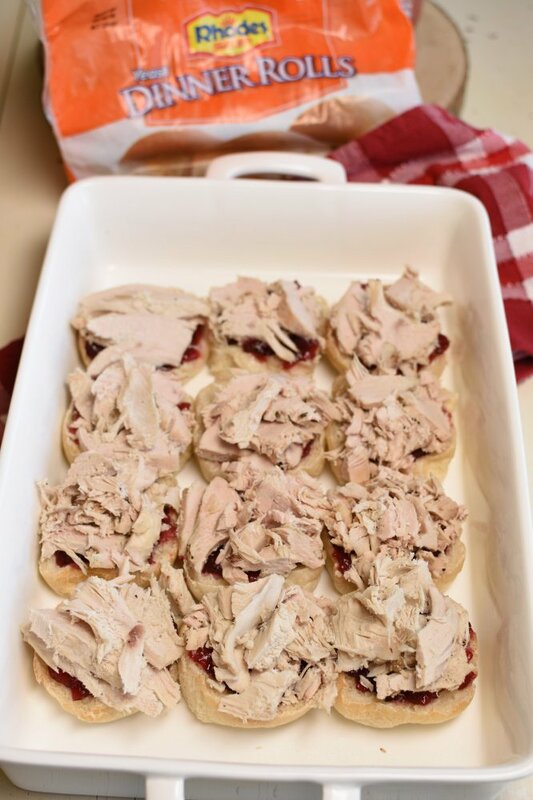 Make a pan of Turkey Cranberry Sliders and stick them in the fridge so you will be ready when your family hits that hangry stage! You’ll be glad you were ready and so will they! 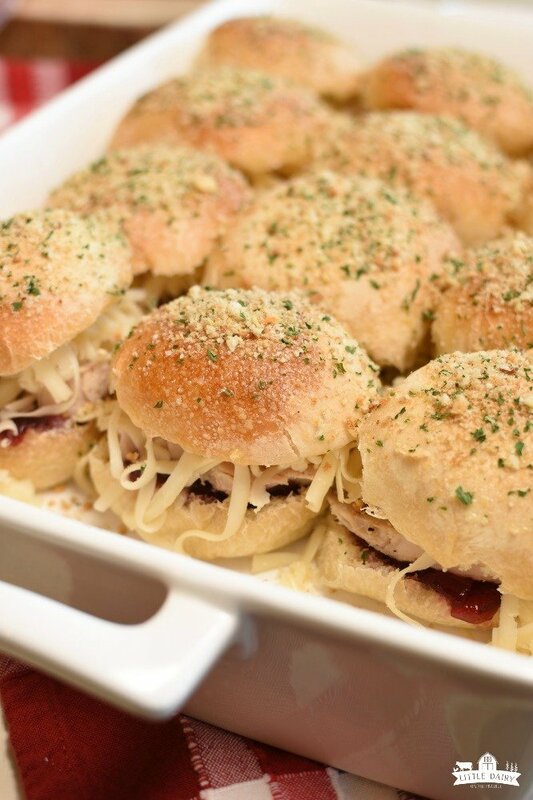 Here’s the printable Turkey Cranberry Sliders recipe! 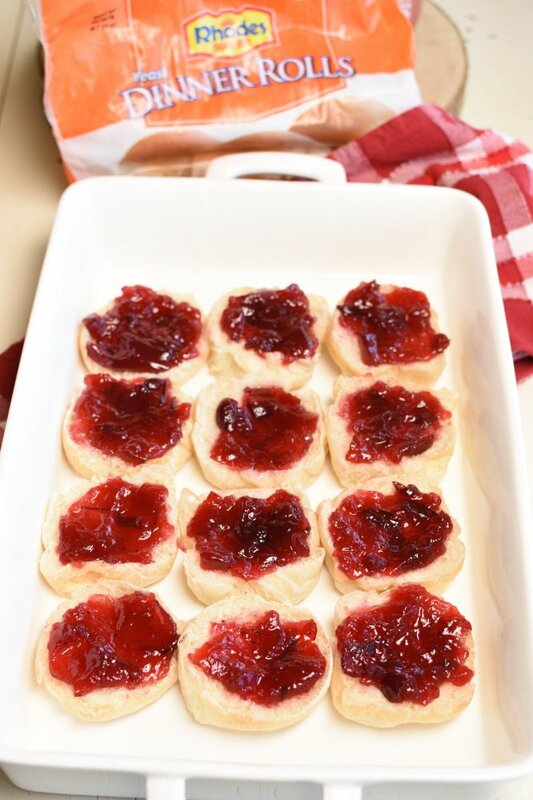 Spread cranberry sauce on bottom halves of rolls. 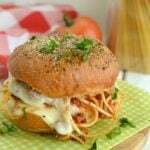 Sprinkle with plenty of cheese! Swiss is a great option! Melt butter. Add crushed dry stuffing mix and parmesan cheese to butter. Stir together. 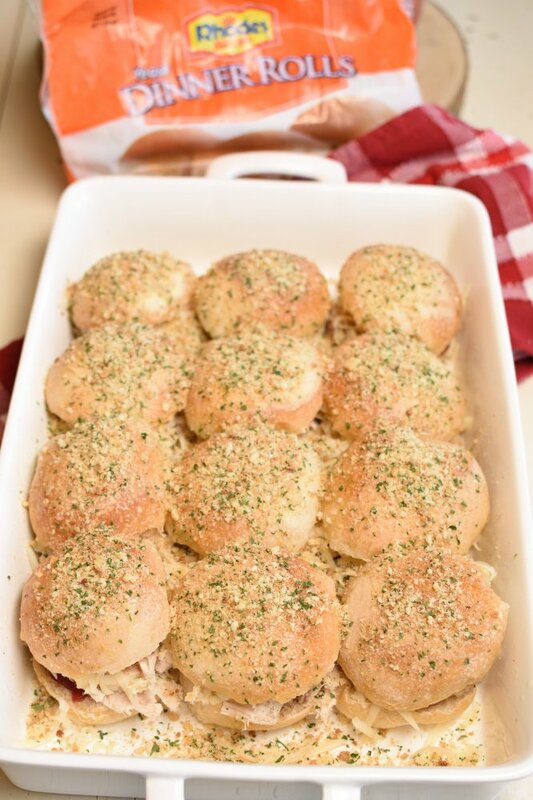 Sprinkle stuffing mixture over rolls. Bake at 350 degrees for 10-15 minutes or until warmed through and cheese is melted. Watch the sliders and if they are getting overly brown on top and still not warmed through cover them with aluminum foil. I look forward to leftovers almost as much as the main meal on Thanksgiving! These sliders are a must!! To me, it’s the cranberry that really pulls it all together! 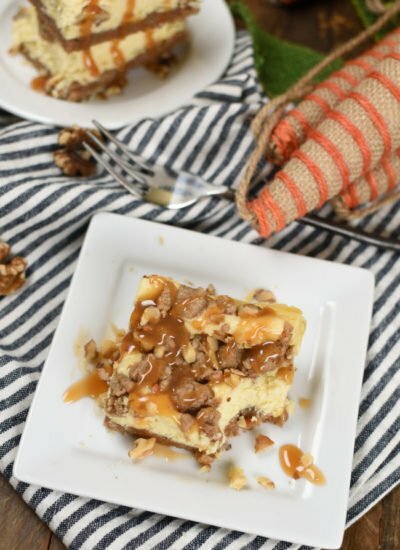 This is such a great way to make use of leftover turkey! The leftovers are my favorite part of Thanksgiving! These looks great! These sound so amazing! 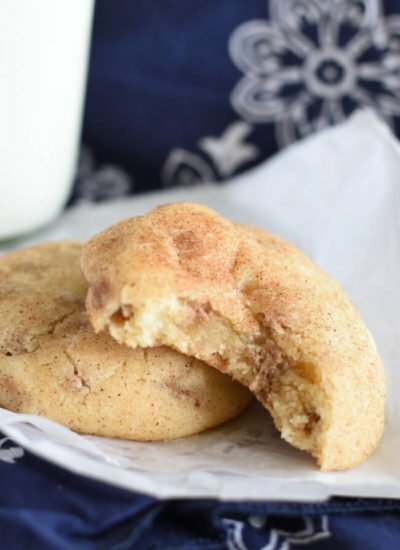 I seriously would eat the whole pan! 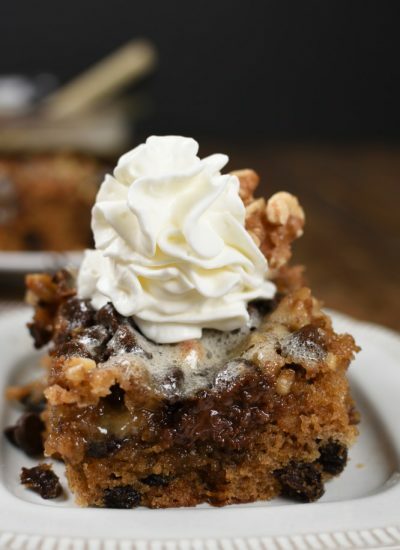 This would be a great way to enjoy leftovers after Thanksgiving! 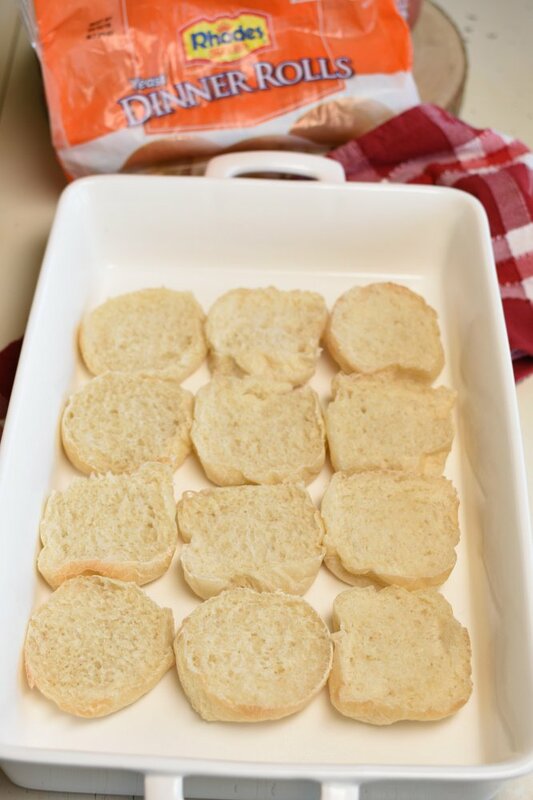 What a great idea for Thanksgiving leftovers! Thanks! We actually end up eating them way more often than just for Thanksgiving!